Is politeness making a comeback? When the New York Times declared Canada “hip” in 2016, it more than made Canada a great tourist attraction, it brought kindness back into fashion. 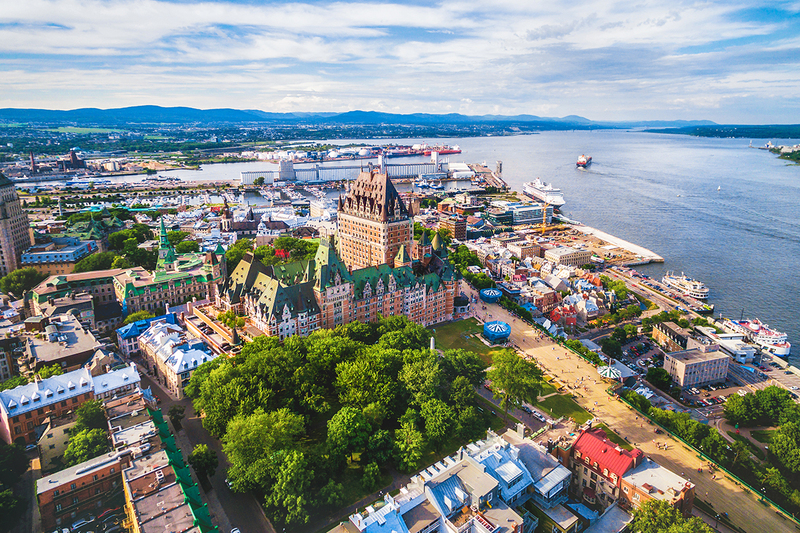 If you plan to visit Canada, one of the most important things to know is that the people like their communication sugar-coated, and if honey draws more bees, then judging from Canada’s newfound popularity, it seems to be working. Ontario is Canada’s second most populous province, and a major tourist destination, especially the Niagara Falls region. Niagara Falls is the collective name for the three waterfalls connecting Ontario to New York, forming the highest flow rate of any waterfall in North America. With more than 6 million cubic feet of water going over the falls every minute and a vertical drop of 165 feet, it’s not a force to be taken lightly. While the Falls themselves need rely on nothing more than breathtaking beauty to attract visitors, you can take full advantage of the Falls’ attractions at Skylon Towers observations deck, by strolling the lawns of the well-manicured Victorian Gardens, or by viewing the Floral clock made entirely of flowers. And, if tales of going over the Falls in a barrel inspire you to adventure, there are extreme rides to satisfy every thrill-seeker’s appetite. Helicopter rides over the falls provide a thrill-ride with a birds-eye view, and several waterparks offer a safer alternative to riding the falls. After falling for the Falls, you might want to head over to the CN Tower. While the 553-meter, fully lit tower is never hard to miss, it’s likely you’ll want to take a trip there to appreciate it from a more intimate view. Inside the CN building you’ll find elevators which take you to restaurants and the observation deck, where on a clear day, you can see the majestic plumes rising off of the great Falls themselves. Speaking of stunning buildings, the Royal Museum of Art (ROM) downtown features a wide range of artistic collections centered on natural history, science, and cultural exhibits, and after its 2017 expansion, it is now a mixture of the old and the new, with a high-tech visage that might make the CN Tower think about a facelift. However, on a serious note, there is nothing in Ontario that really needs a facelift, especially when it is so rich in natural beauty. The Thousand Islands are a granite shelf that comprise an 80-mile stretch of St. Lawrence from the Canadian Shield to the Adirondack Mountains in the US. It’s one of the best-known resort areas in Ontario for cottagers and boaters looking to escape the Southern Ontario heat in the summer. A cruise through the Thousand Islands is highly recommended. Also recommended is a stop in Innisfil. Once a rural area, the growth in the Greater Toronto area is bringing new attention to this city. Cookstown, Innisfil with its specialty shops and outlet shopping is known as the capital of antiquing in Ontario. Come down for the annual “Wing Ding” garage sale in late June. You’ll find hidden treasure in Innisfil, and larger treasure in the province of Ontario. 3311 Simcoe 89, Innisfil, ON L3Z 3C5, Canada. When you feel like taking a break from your shopping spree in Innisfil, our store is within walking distance for all skin-rescuing needs. Come inside for refreshments and refreshing VIP facials, and allow our skincare specialists to cater to your specific skin type.